For decades, Viking has led the industry in the design and development of the enclosed bridge, and our new 68 EB serves as the latest example of this expertise. 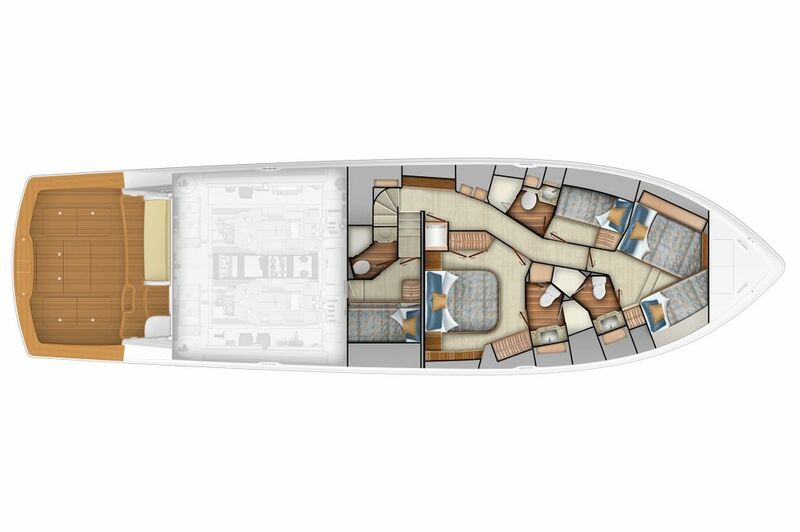 Captains and owners can be comfortably out of the weather in the climate-controlled command center of the 68 EB. The wraparound windshield gives you excellent sightlines in all directions. The raised helm console, which mimics the shape of the windshield, holds the electronics components, engine controls and VIPER (Viking Independent Programmable Electro-hydraulic Rudder) steering. Its black Ultraleather surfaces and visor reduce glare. The enclosed bridge also serves as the home for a second salon, a private retreat with an L-shaped lounge, refrigerator, walnut cocktail table and entertainment center that includes a 24-inch TV and stereo. The walnut hardwoods and cabinetry combined with the natural light flowing through the windows contribute to a space that’s warm, open and airy. 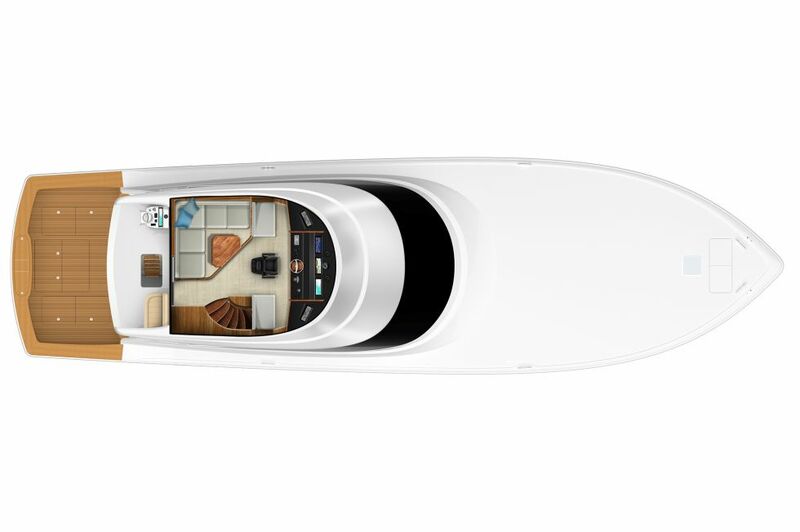 A weatherproof hinged lockable exterior door leads to the pod-style aft docking station complete with single-lever controls and engine start/stop switches. There’s also a molded fiberglass seat on the aft deck with removable cushions and storage underneath. 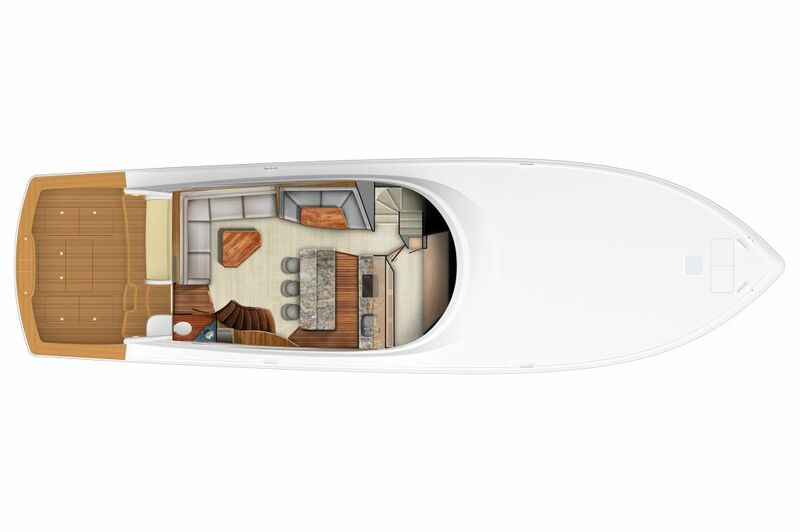 The open and enclosed bridge models of the 68 Convertible share the same salon, island galley and four-stateroom layout, but the EB model also has a custom polished stainless steel spiral staircase that joins the main deck salon and enclosed bridge. 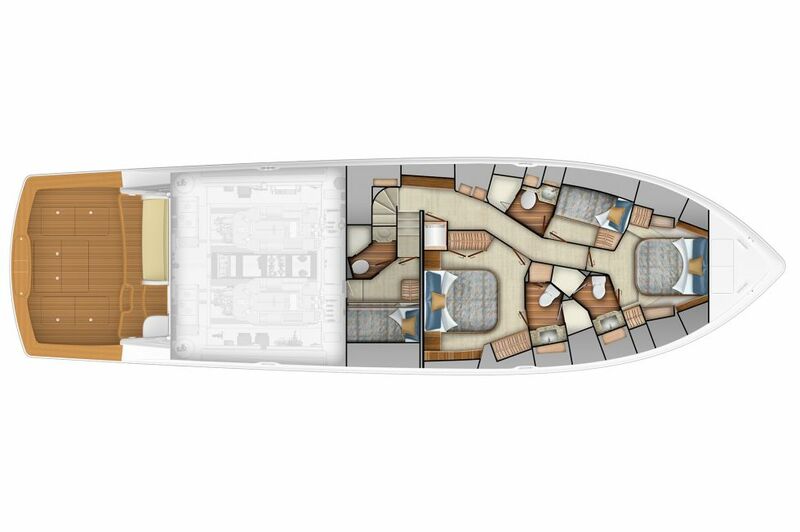 A high-gloss walnut finish decorates the entire interior, and large hull-side windows draw in natural light.